Thanksgiving is tomorrow so I have been hearing and reading a lot about Black Friday and shopping for kids. When it comes to our children and grandchildren careful thought will go into Holiday gift choices. I know that screens for kids are somewhat controversial. Let’s face it, eventually your kids will be exposed to the iPad and various other tablets both adult and child friendly. It seems important to know about the various available tablets. So here is the link to Consumer Reports’ info on tablets specifically for children. The market for kids’ tablets is growing dramatically. Just two years ago, only 8 percent of children had access to a tablet at home. Today, it’s 40 percent! Consumer Reports tested six tablets especially designed for children costing between 70 and 230.
via Kids Tablets: Consumer Reports | abc7chicago.com. You never expect toys to harm your child or grandchild but we know they can… so here is a list of toys that you might want to avoid as they pose a safety hazard to some children. 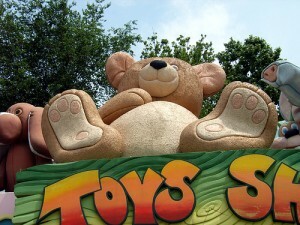 November 26, 2013 (CHICAGO) (WLS) — As the holiday shopping season begins, the Illinois Public Interest Research Group is out with its annual list of dangerous toys that parents should avoid. Shoppers hitting the stores this holiday season should look out for toys that can be harmful to children. via Advocacy group lists dangerous toys; Illinois Public Interest Research Group says shoppers should look out for toys that can be harmful to children | abc7chicago.com. Children with special needs and parents get help with toy choices from aToys R Us website. Thank you Toys R Us. Toys R Us toy guide for differently-abled kids makes it easier to find the right toys for a child with a disability. The prices range from $5 – $100. via Toys R Us helps holiday shoppers find appropriate toys for disabled children | abc7chicago.com. This entry was posted in Family, Grandmas & Grandpas, Holidays, Kids, Moms & Dads, Play, Reviews and tagged dangerous toys, differentlyabled, kids' tablets, Toys R Us by llpitlwp. Bookmark the permalink.